The Common Internet File System (CIFS) is the standard way that computer users share files across corporate intranets and the Internet. An enhanced version of the Microsoft open, cross-platform Server Message Block (SMB) protocol, CIFS is a native file-sharing protocol in Windows 2000. In operational environment, the life of an appliance is three to four years and it is easy to replace this appliance with a new appliance laced with advance technology. However, in an industrial environment, the life of a digital asset is 15 to 20 years and it’s a challenging job to always make any change in the critical environment. In manifold industries, computer with window XP and older operating systems are in operation while Microsoft ended support for Window XP on April 8, 2014. Afterwards, Microsoft did not provide any security patch and other kind of support for the Window XP operating system. Systems with an old operating system without updates are more vulnerable to attacks and hence increase the attack surface. To overcome this problem, secure the vulnerable system and protect it from any malicious attack, Phoenix Contact came up with mGuard CIFS Integrity Monitoring Solution, which is in demand for protecting the systems having old operating systems in an industrial environment. With mGuard CIFS Integrity Monitoring, Phoenix Contact offers an award-winning, industry suitable solution to protect Windows-based automation components against malware infestation. To achieve this, mGuard Integrity Monitoring supervises file systems against unexpected modifications or additions to programs, dynamic link libraries, and other executable code without utilizing virus patterns – thus eliminating the need for their permanent update. This innovation can even detect damages from zero day exploits for which virus patterns don’t even exist yet. Power supplies and uninterruptible power supplies (UPS) from Phoenix Contact are high-quality products featuring leading technology. Our power supplies, DC/DC converters, redundancy modules, and uninterruptible power supplies are optimally tailored in terms of their functionality and design to the requirements of a range of industries. Please see some of the products we have that are brand new. Phoenix Contact’s modular system for uninterruptible power supplies (UPS) provides users with increased flexibility in industrial environments. Thanks to a variety of energy storage technologies, users can combine units to meet their individual requirements, such as long buffer times, long service life, extreme environmental conditions, and maintenance-free operation. Uninterruptible power supplies (UPS) have become a standard in industrial applications. However, it’s not just the DC consumers that need to be protected against power drops. AC loads, such as camera systems or IPCs, also need to keep running during temporary supply failures. Phoenix Contact’s industrial-grade Quint AC UPS with IQ technology offers a more suitable alternative to the office UPS solutions frequently encountered in this area. The Quint AC UPS can be latched onto the DIN rail, it is certified for all standard industrial requirements, and thanks to a range of different power storage concepts, it can be deployed very flexibly. The intelligent AC UPS with IQ technology guarantees superior system availability. Monitor and optimize your energy storage with the QUINT AC UPS. Lightning and surge protection from Phoenix Contact with Safe Energy Control Technology offers maximum performance with long service life. 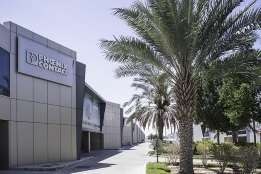 To meet the demands of the market, Phoenix Contact places the highest value on new and ongoing development of technologies. This happens in close coordination with technical universities and colleges. One excellent example of this is the new spark gap with Safe Energy Control technology. Professionally developed, designed and tested in our pulse and high-current laboratory, lightning current protective devices and surge protective devices from Phoenix Contact provide the perfect protection for any power supply. Safe Energy Control, abbreviated SEC, is synonymous with outstanding durability and maximum performance in the area of lightning current and surge protection. The revolutionary spark gap technology safely prevents any line follow current. This reduces the load on the entire installation to a minimum. This means outstanding durability for the surge protective devices at the same time. The protective devices work quietly in the background and help protect the entire system. Backup fuse-free solutions are available for all applications. Visit our website to learn more about our SEC range lightning current protective devices and surge protective devices. The new PTFIX distribution blocks from Phoenix Contact can be used straight away without manual bridging, thus enabling space savings of up to 80 percent. The 1.5 mm² and 2.5 mm² distribution blocks are available with various numbers of positions and can be arranged in series without loss of pitch. Flexibly extend your potential with two-position standard jumpers. The distribution blocks are also available with DIN-rail, direct or adhesive mounting, allowing you to flexibly build any application. Pre-treated or rigid conductors are connected quickly with the tool-free push-in direct connection technology. Transverse installation on the DIN rail and the compact design achieves space savings of up to 50 percent. Distribution and power blocks with 6, 12, and 18 terminal points are available in eleven colors for clear, intuitive, and safe installation. The marking of all terminal points ensures a very clear wiring layout. The PTFIX distribution blocks therefore ensure flexible and cost-effective load and control current distribution. The Field Analog process indicators allow you to monitor and display analog and temperature signals as well as control them via digital and analog inputs and outputs. The field devices enable you to acquire and convert the signals from resistance thermometers, thermocouples, and resistance-type sensors and voltage sensors directly on site. Field Analog process indicators are available for field and control panel installation. The universal inputs allows you to record current, voltage, RTDs, and TCs. Comprehensive approvals also allow you to connect sensors in the Ex area. Thanks to the standardized housing dimensions and plug-in connection terminal blocks, the indicators are easy to install. The devices are easy to configure via the keyboard on the front or via FDT/DTM software. Current process values are easy to read on the five-digit backlit displays. The bar graph also provides you with a quick overview. Alarm statuses can be identified easily from a distance by their changing color. Click here to learn more about our process indicators and field devices. Thanks to plant markings from Phoenix Contact, you can mark every system clearly and safely. Regardless of whether it is prohibition, mandatory or warning signs, magnet markings or pipeline markers, pre-marked or individually marked – the right marking is available for every application. Far from being a luxury, the standard-compliant and permanent marking of the smallest components all the way up to entire industrial systems is actually a mark of quality demanded by customers in respect of modern, high-quality capital goods. Phoenix Contact offers you a wide range of solutions for industrial marking with thermal transfer printing. Professional total solutions for a multitude of applications are available to you – from the right printing system, through the CLIP PROJECT marking software right down to the appropriate marking material. Homogeneous, interlinking systems with state-of-the-art technology simplify your processes. High-quality components ensure robust, durable and reliable marking of your working environment. The thermal transfer printing system from Phoenix Contact is a quick and cost-efficient printing system for marking terminals, conductors, cables, and devices. Learn more about our Plant Marking. Direct and flexible printing at the location of use? The new mobile printing system from Phoenix Contact has now made this possible. The THERMOMARK PRIME is optimally suited for mobile use with its integrated marking software, independent energy supply and a user interface with intuitive operation. Its compact size and practical accessories make the THERMOMARK PRIME the ideal companion for any task – whether in stationary use or on the go while in the field. The THERMOMARK PRIME can easily be managed in stationary use using a PC. Its wide variety of functions can be used by activating the CLIP PROJECT marking software. The creation of labels for all components of control cabinet manufacturing is one of the core competencies of the THERMOMARK PRIME. The printing system resolves this task directly on-site with integrated marking software and energy on board. Regardless of whether the labeling is on local installation sites or in supply equipment: mobile printing systems offer the highest amount of flexibility for the most varied of applications with a large selection of marking materials. Reliable labeling of industrial systems across large facilities is now possible due to the high battery power of the THERMOMARK PRIME. This allows users to create the highest quality labels directly on-site. Surge protection with low voltage protection levels provide optimum protection for your MCR applications. Surge protection for MCR technology from Phoenix Contact provides signal circuits and interfaces with optimum protection against destructive surge voltages. With the Termitrab complete product range, Phoenix Contact now offers the the narrowest surge protective devices on the market. They are suitable for MCR applications starting from an overall width of just 3.5 mm. This means that the protective devices can protect up to 572 signals against surge voltages on just one meter of DIN rail. The integrated disconnect device ensures safe behavior in the event of overload. It signals the status on each individual protective device mechanically without auxiliary power. Optional remote signaling modules monitor the status of up to 40 neighboring surge protective devices by means of a photoelectric barrier. Installation is simplified as a result: no additional wiring or programming is required for the protection modules. Protective devices in a narrow design, products with protective plugs that can be tested, signaling, and optional remote signaling modules can be selected according to your specific requirements thanks to the tailor-made product range. The surge protective devices are available with Push-in connection technology as well as screw connection. Versions are also available with innovative knife disconnection and for Ex applications.